"WE CANNOT LIBERATE VICTIMS; WE CAN ONLY EDUCATE THEM. THEY MUST LIBERATE THEMSELVES." Help us stop domestic violence and all other types of abuse! The Chainbreaker Foundation, a Utah-based, non-profit entity, helps victims stop the generational cycle of abuse through education, guidance and support. The Chainbreaker Foundation assists adult victims of all types of abuse–physical, sexual, spiritual, emotional, and verbal. Our purpose is to provide education, guidance, and support. To do this, the Chainbreaker Foundation provides free, educational classes every Tuesday night. These classes are taught by various professionals who volunteer to come speak to us, including therapists, attorneys, physicians, judges, motivational speakers, and authors. Classes are taught on various subjects. Any adult, male or female, is welcome to attend. The material is usually not appropriate for children, however, teenagers often come with their parents. Classes are held every Tuesday evening from 7:00 - 8:30 p.m. at the Foundation House - 165 North 1330 West in Orem. We also have trained volunteers who guide victims to the resources in the community and through the court system if necessary. If a victim needs to go to court, volunteers will accompany them so they don’t have to go alone. Some of our other resources include a library of appropriate books, an opportunity to contribute to the community through humanitarian projects, and free clothing. If you attend any of the Chainbreaker classes or receive any kind of help from the Chainbreaker Foundation, it will be kept confidential. 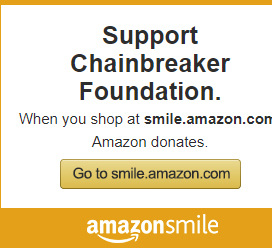 The Chainbreaker Foundation has also joined efforts with the Susan Cox Powell Foundation. 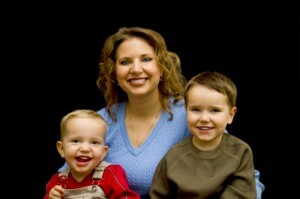 Susan and her two boys are pictured in the photo above. Download this audio workshop FREE!